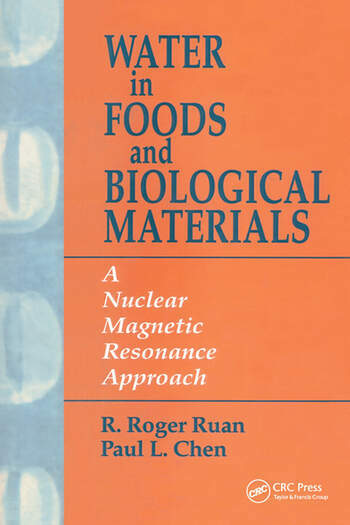 This book is the first book on nuclear magnetic resonance study of water in food and biological materials. The authors present the methodology, research, and development results of qualitative and quantitative analysis of water in foods and biological materials using NMR and MRI. In addition, the authors emphasize experimental techniques and data interpretation skills for the study of mobility of water and its role in processing and storage of foods and biological materials. Authors Ruan and Chen explain how the "state of water" concept will greatly add to the reader's understanding of the role of water in chemical, physical and microbial changes occurring in foods and biological materials. Understanding the relationships between water and chemical reactivity, microbial activity, and physiochemical and structural properties and changes in foods is an important key to effective food R&D, as well as quality control in processing and storage. This book provides advanced information on these relationships using the tools of NMR and MRI. Emphasis is placed on experimental techniques and data interpretation skills for the study of mobility of water and its role in processing and storage of foods. Many new techniques and applications are examined. More than 140 schematics, images and graphs illustrate NMR/MRI principles, techniques, applications and results. Each chapter ends with a section of references.